The UNO Synth Editor is a plug-in and standalone app that lets you access all the parameters of IK’s groundbreaking UNO Synth, the real analog synthesizer for everyone. The Editor lets you go beyond the front panel controls and access deeper programming settings like full 4-stage ADSR envelopes for both filter and amplitude, pulse width and waveform shape modulation of the oscillators, modulation wheel assignments, velocity control and much more. The Editor does not make sound on its own. 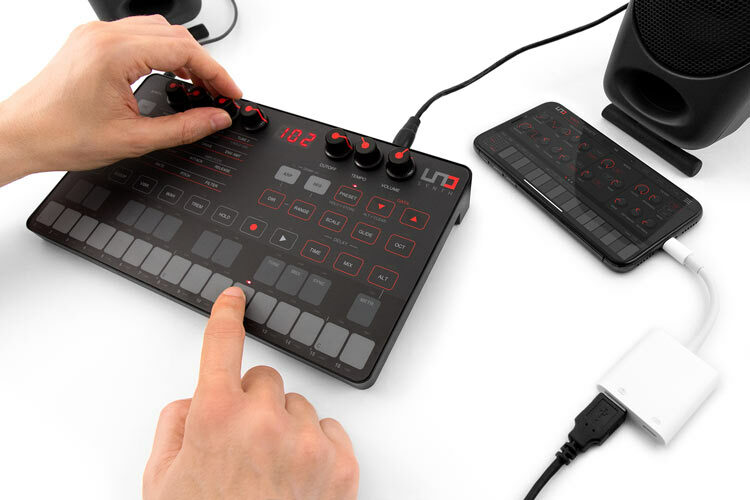 Rather, it is a controller for the UNO Synth hardware that gives you remote control of this innovative instrument from your computer or mobile device. The UNO Synth Editor works as a standalone application on iPhone and iPad, but on Mac and PC something special happens: in addition to a standalone application, the UNO Synth works as a plug-in inside your favorite DAW. This means that you can program and play the UNO Synth just like a virtual instrument with total recall, so the Editor will recall its previous settings each time you open an older session. And it's freely resizable, so you can adjust the screen size to fit your workflow. Enjoy the convenience and flexibility of plug-ins, but with the massive advantage of real analog synthesizer sound. With UNO Editor, you can take your music production to the next level faster than you ever imagined working with an analog synth could be. Other synths may have software editors, but outside the studio you’re limited to hands-on control. But the UNO Synth Editor is also available as a free download for iPhone and iPad, so it's always with you. This means that you can program and play the UNO Synth just like a virtual instrument with total recall, so the Editor will recall its previous settings each time you open an older session. And it's freely resizable, so you can adjust the screen size to fit your workflow. Enjoy the convenience and flexibility of plug-ins, but with the massive advantage of real analog synthesizer sound. With UNO Editor, you can take your music production to the next level faster than you ever imagined working with an analog synth could be. *USB/Lighting adapter required. iPhone/iPad operation requires battery power. The Editor lets you access many synthesis parameters of the UNO Synth that go beyond the front panel controls. 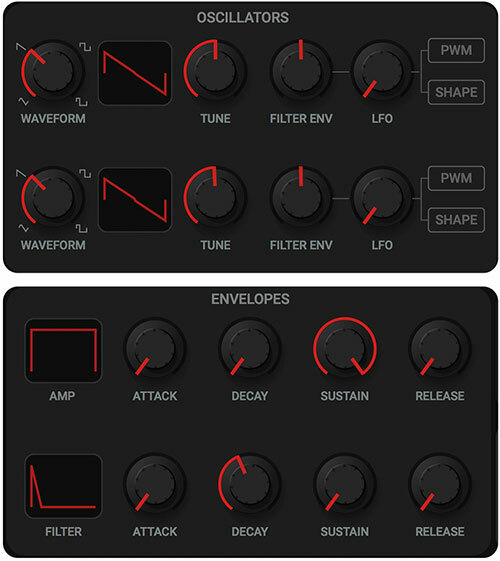 For the oscillators, you can modulate the shape of waveforms in each oscillator using the LFO or filter envelope. You can also modulate the pulse width — classic PWM — in the same way. For the envelopes, you get full access to all 4 stages of both the filter and amplitude envelopes, double the control of the hardware panel. Adjust the filter sustain to set a baseline for how far the filter will close, or set the filter release shorter than the amplitude release to hear the filter sweep closed when you let go of a note. Similarly, use the amplitude decay to create punchy basses and sequence sounds like the best outboard compressor-limiters, and use the amplitude sustain to set the minimum level for the amplitude envelope, meaning how far down in volume the envelope will drop while a note is still held. Use the UNO Editor like a soft synth or virtual instrument to instantly touch any parameter of the UNO Synth while still retaining the pure, unmatched sound of real analog circuits. 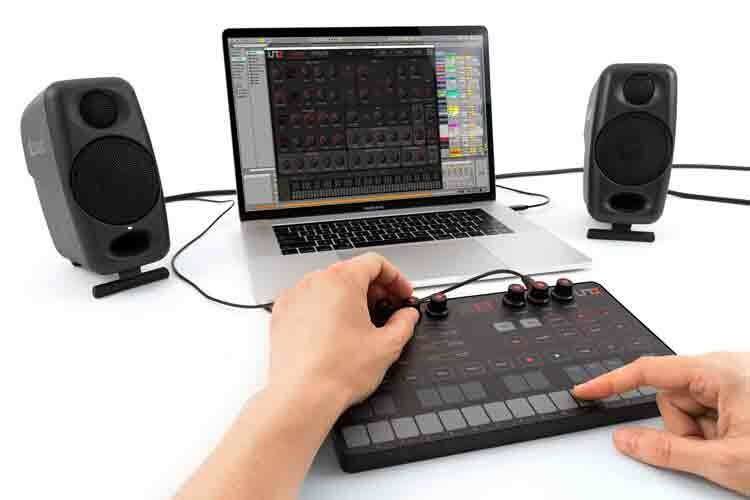 UNO Synth responds to parameter changes on the Editor in real-time, and vice versa, for an effortless creative experience. to the unit for live use. Further, UNO Synth Editor comes packed with controls over live effects. Set the speed of DIVE and SCOOP pitch effects as well as the depth of the VIBR., WAH and TREM buttons for momentary pitch, filter and amplitude modulation from the UNO Synth’s front panel. These buttons let you add instant animation to your synth performance, and they are always active whether you are playing the synth live or using the sequencer or arpeggiator. 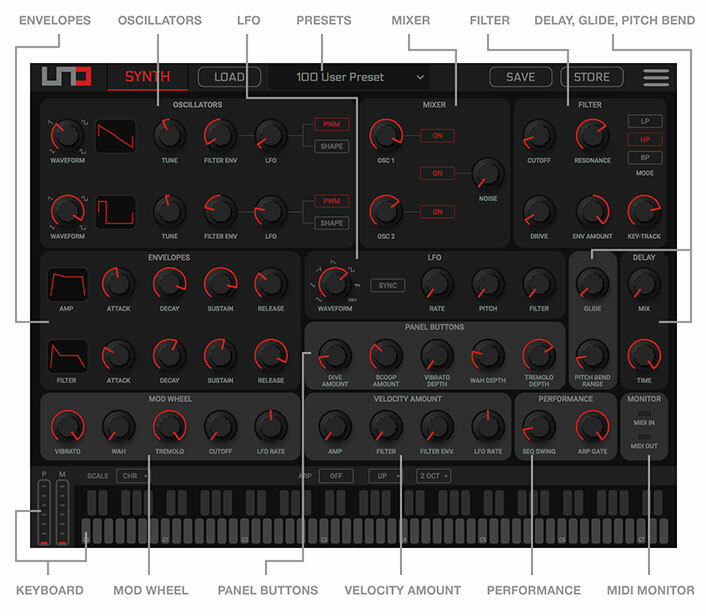 UNO Synth Editor makes it a breeze to configure UNO Synth to integrate into your existing rig the way you want it to. The Global Settings menu provides a convenience way to map MIDI routings, letting you freely assign communication across both the MIDI DIN ports and USB. 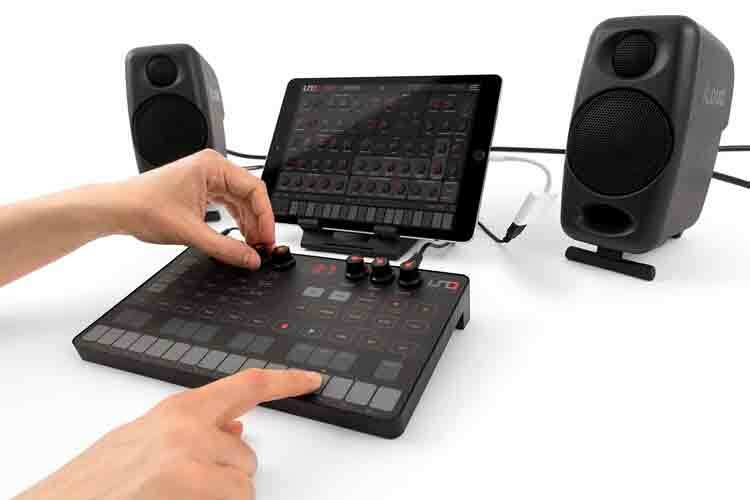 Connect both outboard gear and virtual apps instantly, and use UNO Synth as both a MIDI interface and MIDI controller! First, you can set the knob editing between 3 modes: Absolute, Relative and Pass-Through. 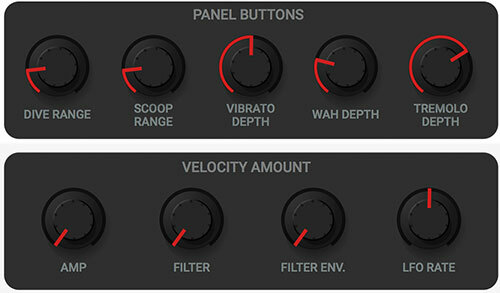 This changes how the UNO Synth’s front panel knobs behave when moving between different parameters. Depending on how you use the synth, you may want to have the knobs make the parameters jump to the current knob position when they are turned, increase or decrease smoothly from the current value regardless of the knob position, or wait to have an effect on the parameter until the knob position passes through the current value. Dial in the style that’s right for you.